Leading Manufacturer of pressure plunger pump from Coimbatore. 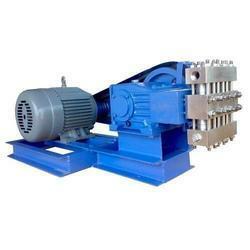 Our company is involved in the manufacture and supply of Pressure Plunger Pump. These pumps are used in many applications that could range from 70 to 600 bars and give optimum performance. These pumps have the maximum pressure of 30 to 600 kg/cm2. Further, these are cost-effective and give an everlasting performance without requiring much maintenance. To add on, these are available at suitable prices. Looking for Pressure Plunger Pump ?